Al Falah University participated in the university fair hosted by the American International School on Tuesday, 08 December 2015. This exhibition brought the largest educational institutes under one roof. 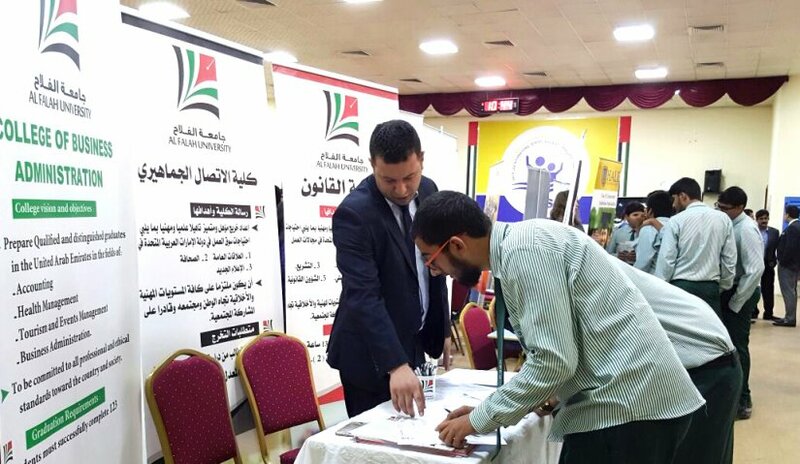 The exhibition gave Al Falah university a chance to reach out to a large number of prospective students and give them more clarification about the programs offered at the university and answer all questions and inquiries for those interested in obtaining a Bachelor’s or Master's degree. 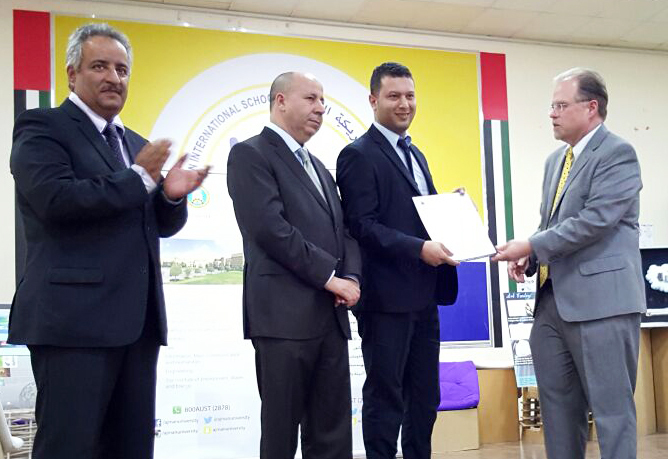 In conclusion our representative, Mr. Nabil Abu Ela, received a certificate of appreciation from the American International School because of the outstanding work done by the university during the exhibition.